Construction projects generally slowed or ground to a complete stop in New York during the Civil War with many of the young and fit men off fighting for the Union. But Edmund and Japhet Mason Thorp forged on. The Connecticut-born brothers were already respected builders and their firm, J. M. and E. A. Thorp, would go on to erect structures like the Park Avenue Methodist Episcopal Church, and the House of the Good Shepherd on 92nd Street. 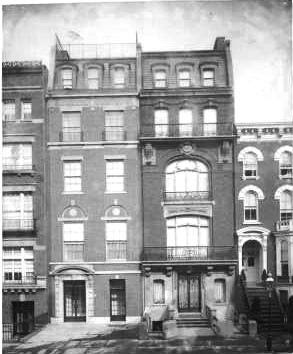 A the top of Lenox Hill on East 70th Street, the Thorps constructed five especially attractive speculative houses, completed in 1863, for owner Sarah Mitchell. Sitting high above English basements, the three-story homes were Victorian jewels. High stoops led to the arched, Italianate entrances beside Victorian Gothic bays which produced a balustrade balcony at the second floor. Paired windows lined up above the bay, connected to one another by stone Ruskinian Gothic arches. The five matching residences were offered “for sale or rent.” James Geddes and his wife Helen purchased No. 129. 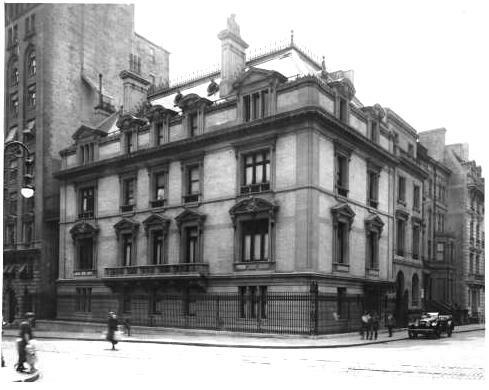 Throughout the remainder of the 19th century, the east side neighborhood quickly developed and as the 20th century approached, grand mansions were spilling onto the side streets from the avenues as the Upper East Side became the most fashionable place to live. Attorney Charles H. Ludington, Jr. owned No. 129 as the century drew to a close. Ludington had become a director of the Chicago Railway terminal Elevator Company in 1894 and was also the President and Director of the Continental Filter Co. The highly-successful lawyer was a member of the University and Yale Clubs and the American Fine Arts Society. Ludington and his family moved out in 1900 and No. 129 was briefly home to protestant Episcopal priest William H. Pott, Ph.D. He had been vicar of St. Thomas’s Chapel, a branch of St. Thomas Church, since 1889. But then a year after taking possession of the house he accepted the rectorship of Zion Church in Wappinger’s Falls, New York and left the city. That year St. John Smith purchased the house; The Times noting that he would “alter the house for his own occupancy.” If it were Smith’s intention to occupy the house, that would not be realized for several years. Instead the house was leased to a succession of wealthy tenants. Socialite Mrs. Clarence H. Mackay leased the house, furnished, for the season of 1913. However, after spending November here, ill health forced her to sublease it to Robert C. Hill, President of the Madiera Hill Coal Company. Hill was the grandson of Justice Daniel Goodenow of the Maine Supreme Court, a descendant of the Revolutionary War hero General Israel Putnam and of Eleazer Wheelock, founder of Dartmouth College. The family of lawyer Henry Hurlbut Abbott rented the house for a few years during the First World War. His son, Paul, went off to a Federal Military Training Camp in 1916. By the 1920s the Smith family had moved in permanently. St. John Smith was graduated from the Harvard Law School in 1901, but he never practiced law. After working in a few financial firms and brokerage houses, he opened his own brokerage office in 1922. The Smith family included Mrs. Florence Elizabeth Howland Smith and the children, Frances St. John, and her brother St. John, Jr. Their comfortable and relatively quiet home life was unalterably shattered on January 13, 1928. The previous fall, Frances had started school at Smith College. On January 13 she was seen crossing the campus around noon and then disappeared. The mystery would initiate a nationwide search that eventually expanded to Europe. The Smiths offered a $10,000 reward for the return of their daughter alive and within days of the disappearance Captain John Ayres of the Bureau of Missing Persons had sent out over 1,000 fliers with Frances’s face and profile. Both notes threatened harm to the girl if the money was not forthcoming soon. In the meantime, alleged sightings came in from all parts of the country and even from Paris. The nation was riveted on the story of the vanished wealthy college girl for over a year; but no clues emerged. Then came what the Smiths feared most. On March 29, 1929 a decomposed body was found in the Connecticut River. Not until six months later, on October 3, would dental records prove it was the body of Frances St. John Smith. Florence Smith died in the house in February, 1933. Adding to St. John smith's emotional burden, his mother died within the week. For decades No. 129 had been the last surviving house of the original five built by the Thorp brothers. Yet the block on East 70th Street remained a particularly lovely residential street, lined with turn of the century mansions that made the quaint Victorian stand out. Among the alterations the new owners made in 1940 was the removal of the high stoop. The door to the English basement became the entrance, and the original door was converted to a window. Perhaps unexpectedly, the architect carefully replaced the bracketed hood with stonework to match the other windows. A stone balustrade, matching that above the bay, was installed to tie the renovations to the original design. When Christian K. Keesee purchased the house, he commissioned architect Peter Brotherton to restore the façade to its 1863 appearance and to do “interior improvements.” Brotherton worked with Charles Lockwood, townhouse historian and author of "Bricks and Brownstones," and delved into substantial architectural forensics. The original dimensions of the doorway were determined by discovering traces of the original opening. The 1940 renovation had recycled the cast iron stoop railings as fencing, so the ironwork of the fence and stoop could be accurately recast. The restoration began in 2008 and included re-pointing of the brickwork (using tinted mortar), cleaning of the façade and repairing and repainting of the woodwork in historic colors. Two years later the remarkable house was reborn, looking perhaps exactly as it did when the Geddes moved in during the Civil War. Crooked little Stone Street earned its name by being the first street in New Amsterdam to be paved with cobblestones in 1658. In 1676 Mayor Nicholas De Meyer was living in a house that engulfed the lots that would later become Nos. 41, 43 and 45. The prosperous De Meyer also owned a windmill which was “very conspicuous” on contemporary maps. Even earlier Dutch explorer Adriaen Block had lived on the site. Block, who died in 1627, mapped much of the coastal and river valley areas of present-day New Jersey, Long Island and Massachusetts between 1611 and 1614. He established trade with the Native Americans in the region, named Block Island and Rhode Island, and it was his 1614 map that first documented the name New Netherland. It was Adriaen Block who determined that Long Island and Manhattan were, in fact, islands. On December 16, 1835 fire broke out at 25 Merchant Street. In the subfreezing temperatures, firefighters were frustrated as water, drawn from holes chopped in the ice of the East River, froze in the hoses. Before the raging fire was extinguished the following day, between 500 and 700 buildings were destroyed and 17 blocks of downtown lay in smoldering ruins. The devastated area included Stone Street. Within a year the area was rebuilt with nearly identical stone-faced Greek Revival commercial buildings that stretched through the block from Stone Street to South William Street. The buildings survived throughout the 19th century despite soaring real estate values in the growing Financial District and office buildings redefining the neighborhood. In deference to the historic site the club was named in honor of Adriaen Block and would be a private social, athletic and luncheon club. The idea of luncheon clubs had originated in 1887 with the Down Town Association which erected the first such club at 60 Pine Street. At the time, downtown businessmen were increasingly inconvenienced as the residential neighborhoods moved further uptown, making traveling home for lunch difficult. A private luncheon club resolved the problem and eliminated only other option, which was scrambling for tables at the few acceptable restaurants in the area. The Block Club commissioned architect William Neil Smith to design its new clubhouse. The club that chose its name to commemorate a Dutch explorer surprisingly went decidedly English in its choice of architecture. In 1905 Smith had designed a neo-Gothic façade just north of the plot, which abutted the remarkable 1903 Flemish Revival facades by C. P. H. Gilbert. More than 100 members had joined the club before the first brick was laid; lured not only by the prospect of an exclusive new luncheon spot, but by the planned “squash, racquets and handball courts and a gymnasium on the fourth floor,” as reported in The Times. Block Hall was completed later that year. Its charismatic neo-Tudor design blended harmoniously with the other historic-based buildings at the bend of South Williams Street to create a uniquely picturesque setting. Smith combined projecting porches, half-timbering, many-paned windows and a steep, three-story tiled mansard roof to give the illusion of a rustic English structure. The clubhouse became an important venue for the annual squash tournaments in which exclusive mens’ clubs including the New York Athletic Club, the Princeton Club and the Yale Club vied with the Block Club for bragging rights. Things went well for the club until October of 1929. Then many of the prosperous members who made their fortunes in banking and insurance were wiped out by the Great Depression. The club struggled to pay its mortgage of about $360,000 until finally, in 1932, the Corn Exchange Bank foreclosed. The club reorganized as the Block Hall Luncheon Club and continued on, leasing the building from the bank. In August of 1945 the bank sold the structure to Robert Norden, the owner of the restaurant in Fraunces Tavern. In place of the luncheon club, Norden opened a new restaurant. While the skyline of lower Manhattan changed month-by-month throughout the 20th century with soaring modern skyscrapers replacing older structures, the picturesque and bending South Williams Street remained. The group of quaint, unrelated buildings still charm tourists and New Yorkers alike with their old European feel. In 2006 the former Block Club was converted to an “eating and drinking establishment” on the ground floor—appropriately a pub in keeping with the architecture—and five upscale apartments on each of the upper floors. The Yale-educated Winthrop was, by now, a director in several banks, director and financial secretary of the Equitable Life Assurance Society and held memberships in the exclusive Knickerbocker, University, Union and other clubs. Twenty-four years later, in 1929, the couple’s daughter Alice married Robert G. Payne. The following year Winthrop commissioned architects Delano & Aldrich to design a new townhouse next door to the Winthrop’s existing mansion. On February 5, 1930 the firm filed plans for a six-story house where Major W. de Lancy Kountze’s former home, a three-story brownstone house above an English basement, stood at No. 120 East 78th Street. The new structure, estimated at filing to cost $100,000, would stand out among its neighbors. Inspired by Thomas Jefferson’s University of Virginia pavilions, the architects created a neo-Georgian house with a scene-stealing entrance niche. Trading interior space for drama, Delano & Aldrich cut deeply into the façade and swept a curving marble staircase up to the offset entrance door. The arms of the elegant iron fence bowed out to the property line, mirroring the shape of the entrance alcove. The upper floors of red brick were subtly trimmed in limestone, allowing the first and basement floors to soak up the attention. 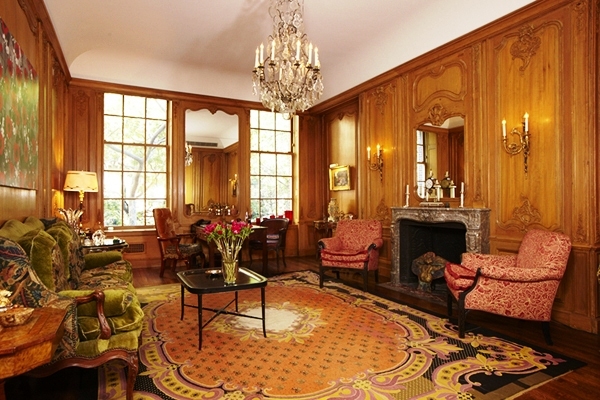 Inside, the rooms boasted French paneling, rich hardwoods and carved marble mantles. When Henry and Alice Winthrop moved out of No. 120, they transferred the deed to their daughter. In 1946 she sold the house to Jorge R. Andre, Jr. Andre had married the former wife of Daniel E. Sickles and with her came her three young daughters. For years the house would be the scene of all the entertaining, preparations and rituals associated with the debuts and weddings of wealthy society girls. While the house was large and comfortable, it could not accommodate lavish entertaining such as was common in the double-wide Frederic Grosvenor Goodridge mansion next door at No. 122. Mrs. Andre, therefore, chose the Ritz-Carlton for the supper dance on December 21, 1949 for daughter Carolyn’s debut. The debutante had recently returned to New York from her studies at the Chateau Brilliantmont in Switzerland. Exactly one year later to the day, Antoinette Sickles was introduced to society at a large supper dance in the Biltmore Roof; and in 1954 daughter Sonda made her debut. Titled suitors seemed to be drawn to the Sickle girls. In 1955 Antoinette became Donna Antoinette Guerrini-Maraldi of Rome when she married Nobile Demetrio. Later that year, in September, Carolyn married Count Franco Lucioli Ottieri della Caja in Paris, where her father Daniel E. Sickles was living. Sondra broke the string of titled marriages when she wed American James Phelan on June 22, 1959. The reception was held in the East 78th Street house. Two years later Charles M. Spofford, chairman of the Metropolitan Opera’s executive committee, was living here. It was Spofford who pushed the Met’s committee to accept Robert Moses’s offer to move its house to the West Side, resulting in Lincoln Center. By the 1970s the house was home to Harold and Marjorie Reed. After Mrs. Reed moved out in 1976, the couple divorced and Harold opened the Harold Reed Gallery here where Reed highlighted 20th century American artists. By 2011 when the house was put on the market for $26 million, there had been changes made. There was now a wine storage room for 630 bottles, an elevator and a “very inviting gym,” according to a real estate agent. Delano & Aldrich’s bold design created a townhouse unique in Manhattan that, happily, remains intact. John Seward Johnson II was expected to work in the family business, Johnson & Johnson. And he did. Until his uncle Robert Wood Johnson II fired him in 1962. Now without a job, the 32-year old turned his attention to painting and, later, to sculpture. With an eye for everyday people and situations Johnson was able to create astonishing art from the mundane and commonplace. Like Charles Dana Gibson or Norman Rockwell before him, the subjects for his life-like sculptures were regular people going about their ordinary lives. One such sculpture was the life-sized bronze titled “Double Check.” Created in 1982, the artist loaned it to Merrill Lynch to be displayed in Liberty Plaza Park in the Financial District. Johnson’s businessman sits on a bench, sifting through his briefcase to make sure he has everything in preparation for a meeting. For nearly two decades it delighted tourists and made frenzied stock brokers and bankers smile. And then came September 11, 2001. 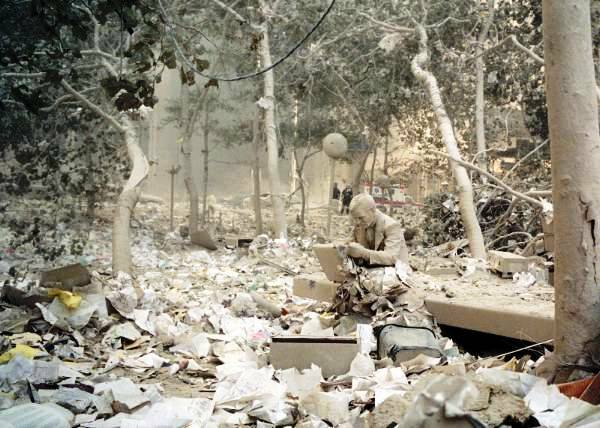 When the World Trade Towers came down, plunging New York and the country into mourning and disbelief, grey ash covered the ruins of Liberty Park. As the clouds of debris cleared and emergency responders flooded into the area, some mistook the statue for a dazed survivor. In the following days and weeks, “Double Check” became a symbol of the World Trade Tower victims, murdered for simply going to work. The statue represented the common, working guy in a suit who died trying to make a living for his family. Candles, flowers and notes were left by the sculpture. Although it was jarred from his base, the statue survived, albeit a little banged up. “Double Check” was no longer just a sculpture, it was a memorial. It gripped the hearts of New Yorkers. The original statue was refurbished by Johnson. He left the damages caused by crashing debris of the towers as a permanent reminder to the world of the holocaust of that morning in September. It was returned to Liberty Plaza Park. The businessman sits on a granite bench facing the site of the Towers. In 2006 Liberty Plaza Park was renovated and renamed Zuccotti Park, after John Zuccotti chairman of the park’s owners, Brookfield Office Properties. “Double Check” continued its role as an unofficial memorial to the murdered Financial District workers of 9/11. The park took on a new personality about five years later when it became base for the Occupy Wall Street protestors. 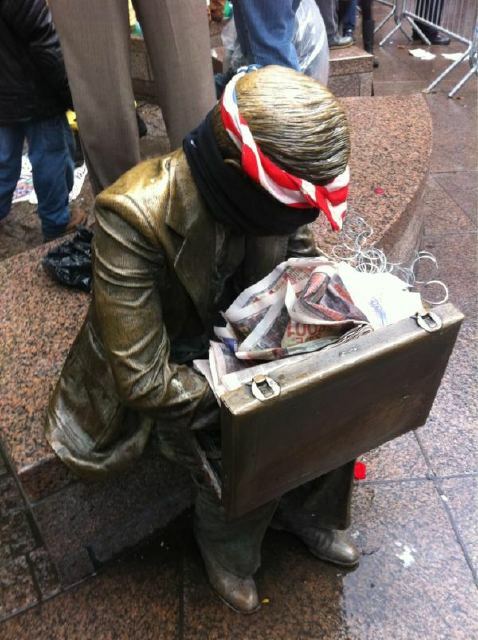 In their fervor to denounce anything remotely capitalist, they stuffed trash in the sculpture’s briefcase, tied a mask around his face and a bandana on his head. The statue that had become a memorial to the deaths of 3,000 innocent lives became a symbol of decadence to the protestors. Their misled zeal was widely condemned by shocked and offended New Yorkers. The garbage in the bronze briefcase has been removed and “Double Check” has regained his dignity. The statue that was intended to be a passing comment on everyday life along Wall Street instead became a poignant symbol of survival and a tribute to the common working man. Not all the mammoth residences of New York’s millionaires at the turn of the 20th century were rising along Fifth Avenue. A block to the east on Madison Avenue the gargantuan homes of Gertrude Rhinelander Waldo and Louis Comfort Tiffany had been erected on opposite corners of 72nd Street in the 1880s. 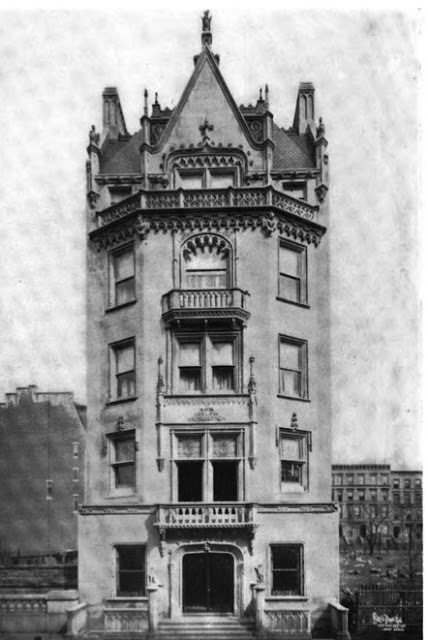 Other grand mansions, including the Stuyvesant Fish house at 78th Street built in 1901, would make Madison a close rival to Fifth Avenue in opulent homes. Among these was the grant French Renaissance palace designed by Ernest Flagg for Robert Fulton Cutting. Descended from Robert Fulton and Robert Livingston, Cutting had inherited a large fortune. The year after his marriage to the former Natalie, C. P. Schenck in 1875, she died. He married Helen Suydam in 1883 and a year later purchased for $190,000 a fine mansion at 724 Fifth Avenue along “Vanderbilt Row." The price raised eyebrows up and down Fifth Avenue—it was reportedly the highest price ever paid for a house its size. The Cutting family would not remain here long, however. 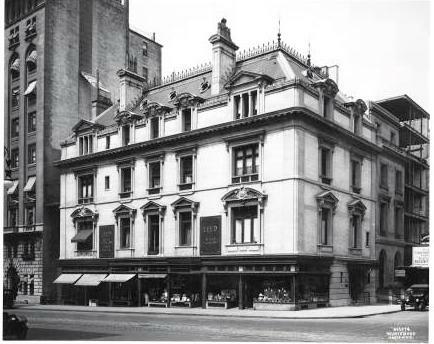 In February 1895, as commerce inched its way up Fifth Avenue, the multimillionaire purchased the house of John Livingston at No. 26 East 67th Street on the corner of Madison Avenue, and the home of Anthony Troescher next door at No. 24. The New York Times noted that “the purchaser” intended to convert the two buildings into one at a projected cost of about $200,000. That conversion never happened. Instead Cutting started from scratch, giving Ernest Flagg his first domestic commission. Flagg may have caught the eye of Cutting, who was an ardent supporter of social reform, through his designs of structures like the Mills House #1. The 1895 hotel for out-of-work men reflected his progressive interest in advancing sanitation and health. The massive, four-story mansion was not completed for several years. The limestone and brick chateau stretched back along Madison Avenue. The aggressive Beaux Arts window embellishments at the second floor fought for attention with the near-matching fourth floor windows that broke through the cornice of the mansard roof. The interiors were treated in a variety of styles and periods. Inlaid, multicolored marble floors and a floor-to-ceiling carved mantle decorated the somewhat formidable entrance hall. 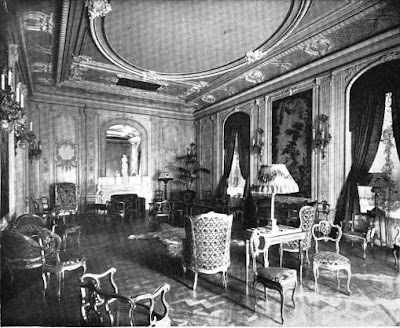 The drawing room, in the style of a French salon, featured an ornate plaster ceiling, parquet floors and French paneling with inset murals. Cutting’s library seethed masculinity with a deeply-coffered ceiling, dark woodwork and brocade wall coverings. 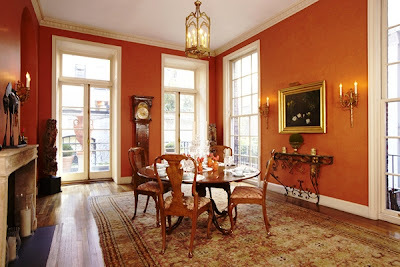 Cutting sold the Fifth Avenue mansion to the widow of artist Albert Bierstadt, Mary E. Bierstadt, as the family (there would be six children in all) moved to East 67th Street and Madison Avenue. On the other hand, Cutting was a true New York patrician who always wore evening dress to nighttime meetings and was a member of the elite Century and City Clubs. The grand mansion, therefore, would lead a double life—one of glittering dances and dinners as well as the scene of passionate reform committee meetings. The Cuttings summered at their villa in Tuxedo Park, but the winter season ushered in grand entertainments. On November 20, 1902 The Times noted that “Mr. and Mrs. Robert Fulton Cutting are in their house at 24 East Sixty-seventh Street for the Winter. They will give a dance early next month.” In December of the following year Helen Cutting gave “a small dinner” for 76 guests. In contrast on December 22, 1908 Cutting hosted a meeting of the New York Milk Committee of the Association for Improving the Condition of the Poor. The group discussed the question of healthful milk supplies, the education of new mothers in using it, and ways to cut down on the infant mortality rate during hot summer months. In April, 1916, daughter Ruth Cutting married Reginal La Grange Auchincloss in St. George’s Church. Whispered rumors filled society parlors two months later when her sister, Elizabeth McEvers Cutting, was married to Dr. Stafford McLean in the Cutting mansion with no prior announcement and no guests. A rushed ceremony behind family doors could mean only one scandalous thing to society gossipers. The happy times at No. 24 East 67th Street came to a tragic end in 1918. With World War I raging, Fulton, a radio expert, had joined the Army and Charles Suydam Cutting was a Second Lieutenant in the intelligence department. The Cutting's 42-year old son, Robert Bayard Cutting, was Associate Organizing Secretary of the Y.M.C.A. He left for France in September 1917 to take charge of the Y.M.C.A. “hut” and to open new areas in advanced sections of the front. In March he became ill with “intestinal problems,” and on April 1 underwent an operation. One of the last large assemblies in the Cutting mansion was held on April 26, 1922 when 200 women heard James R. Sheffield speak on “Republican Issues.” The former President of the National Republican Club urged the women “to become affiliated with one of the great political parties, at the same time stressing the superior qualities of the Republican Party,” reported The Times. The contract allowed the home to be “altered for business purposes by the lessees,” who announced they would renovate the ground floor into stores. The first floor was, indeed, converted to retail space and the upper floors became apartments. Then, in 1962 the once-grand mansion was demolished to be replaced by a white brick box with windows. In 1897 the gargantuan stone mansion of Henry H. Cook had already filled the corner of 78th Street and Fifth Avenue for nearly two decades, most of that time essentially alone. By now, however, the city’s wealthiest citizens were on their way; building grand chateaux and palaces further and further northward. Cook had no intentions of his neighborhood suffering the humiliation of commercial structures or apartment houses. He bought the entire block of land from Fifth Avenue to Madison Avenue, 78th Street to 79th; then waited for rich prospective buyers to come knocking. The multimillionaire could afford to be patient. He had made a fortune in railroads and banking and his mansion housed an internationally-known collection of art. So when Edmund Cogswell Converse decided to purchase the lot next door, he had to play by Cook’s rules. Converse’s house would be splendid indeed. 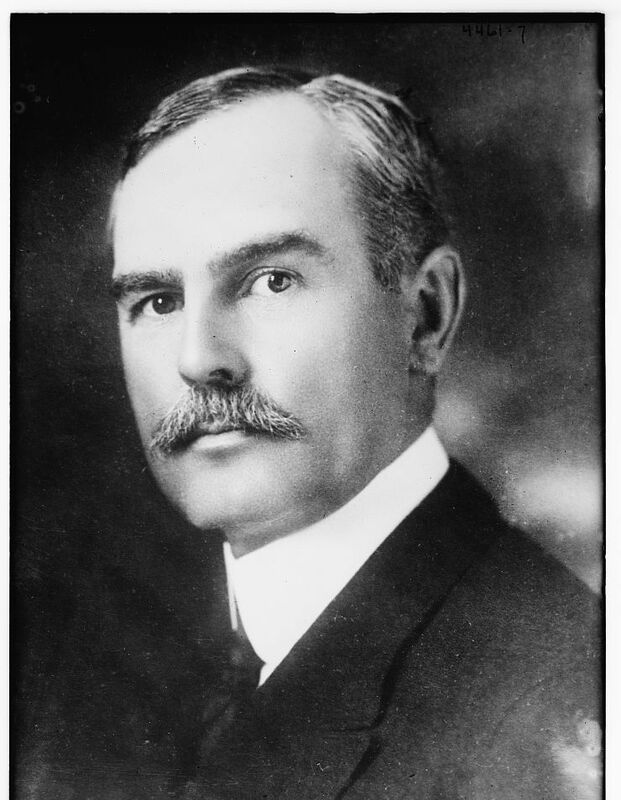 The Boston-born banker was not only president of the Bankers Trust Company and a founder of United States Steel; he was president and director of the National Tube Co. and National Tube Works, Co.; trustee of the American Bank Note Co.; director of the Liberty National Bank and general manager and director of the McKeesport Connecting Railway Company. His held memberships in the Union League, Lawyers’ Club, New York Athletic Club, Metropolitan Club, American Yacht Club, Seawanhaka-Corinthian Yacht Club, the Republic Club, the Ardsley Golf and Fairfield County Gulf Clubs, the Sons of the American Revolution and Society of Colonial Wars. Edmund Converse commissioned mansion architect C. P. H. Gilbert to design his new home. Gilbert completed the designs of the massive Isaac D. Fletcher mansion—also on the Cook block, at 79th Street and Fifth Avenue--and the Converse house nearly simultaneously, both in the French Gothic style, in 1897 and 1898 respectively. When construction was completed in 1900, Converse’s five-and-a-half story residence looked somewhat out of place on the mostly-undeveloped block. It would not be alone for long. Within the next few years the marble and limestone mansions would line the block, making it one of the most prestigious residential streets in the city. When completed, the house sat conspicuously among undeveloped lots. On 79th Street, in the background, upper-middle class brownstones still remain. Like the Fletcher’s, Edmund Converse’s house was frosted in Gothic tracery, finials and lacy carvings. Unlike its big brother, however, it boasted a herd of griffins. They squatted menacingly on the roof, appeared below the fifth floor cornice and supported the Juliette balcony above the doorway. Two griffin-like winged lions, one male and one female, perched on the two stone newels of the entrance steps like guard dogs. Inside, art treasures included Van Dyck’s portrait of Mlle. Cottigniers and a collection of Chinese, Persian, Japanese and Italian ceramics, mortuary glass and jade. The Converse family was here only a few years before Henry Huttleston Rogers purchased the house. Rogers had made a fortune in railroads, energy and banking; and in 1882 was made a director of the Standard Oil Company and elected vice president of the United Pipe Lines, a subordinate company. The position put him in charge of all pipe lines from the oil wells to the storage tanks and refineries. Rogers met Helen Keller just as her continued education was in question due to financial problems. He paid for her college education, cementing a life-long friendship. Samuel Clemens was another high profile friend and the two men relished their times together. In July 1907 Rogers suffered a mild stroke and, while he did not retire, he immediately put all his personal business affairs in pristine order. I shall arrive at noon next Friday, and go at once down town on business, and back to No. 3 for dinner, provided there will be a bed for me and no extra charge. I return home next day. I’m due at the Jerome banquet Friday evening at 10. If there’s no vacant bed, or if you are to be away Fairhavenward, will you please telephone me here when you receive this? Please don’t tell Mr. Rogers. He would try to raise the limit. As it turned out, the Rogers were in Fairhaven, their country estate, the weekend of Friday May 7; so Mark Twain was unable to stay at No. 3 East 78th. But the pair arranged another get-together later that month, beginning on May 19. That meeting would not happen, either. The 69-year old Rogers rose, as he always did, between 5 and 6 am on the 19th. He woke his wife, telling her he had a severe headache and nausea—most likely “a passing indisposition.” Before long his arms became numb and just before 7:00 his doctor was summoned. By 7:20 Henry Huttleston Rogers was dead. Upon receiving the news, Samuel Clemen’s daughter rushed to Grand Central Station to intercept her father. She told him about his friend’s passing as gently as possible. Rogers left an estate of approximately $20 million. His widow stayed on at No. 3 for another four years, involving herself in charity work, including the Messiah Home for Children which had been a favorite of her husband. In 1912 Henry Cook’s grand mansion next door was razed and James B. Duke erected a white marble palace in its place. The following year No. 3, called “one of the finest residences in the famous Cook block” by The New York Times, was sold for $400,000 to John D. Ryan—a close business associate of Henry Rogers through Ryan’s Anaconda Copper Mining Company and Standard Oil. Ryan had started out as a simple lubricating oil salesman in Michigan earning approximately $200 a month. When he moved to Butte, Montana he developed a close relationship with Marcus Daly, a financial mogul and head of Anaconda Copper Mining. After marrying Nettie Gardner at the age of 32, Ryan decided to improve his lot and, using all his savings and everything he could borrow, bought up stock in Daly’s banks until he was the major stockholder. After Daly’s death in 1901 he became the president of the Daly Bank and Trust Co., headed Anaconda and managed Margaret Daly’s significant fortune. Ryan’s interests and talents were diverse. With no formal education, he developed the use of water power and introduced the first important hydroelectric system for railroads in the U.S. Although Ryan considered Montana his home, he needed a New York base and No. 3 West 78th became it. He temporarily walked away from his businesses with the outbreak of World War I and served as director of the military relief work of the American Red Cross. Then in the spring of 1918 President Woodrow Wilson appointed him to organize the production of aircraft as Second Assistant Secretary of War under Newton d. Baker. Things returned to normal after the war and the Ryans purchased a country estate named Derrymore in Roslyn, Long Island. When the couple’s only child, John Carlos, married Marjorie H. Close in 1924 and moved out, they lived on at No. 3 attended to by a staff of servants. On Friday, February 10, 1933 Ryan attended services at the Church of St. Ignatius Loyola at Park Avenue and 84th Street. Upon returning home, the 69-year old suffered a heart attack. Two physicians spent nearly 24 hours attending to him but around 9:00 in the morning on Saturday, he died in his bed on 78th Street. The funeral was held in the mansion the following Tuesday. When she died in the house on June 6, 1960 she was 90 years old. Despite Henry Cook’s stipulation that houses on his block would be private homes “forever,” in 1964 No. 3 was renovated to accommodate a doctor’s office on the ground floor and three upper-class apartments on the upper floors. For several years in the 1970s it was the home of the respected Ingber Art Gallery. In 2010 the house was renovated again by Harry Elson Architect, PC. The apartments were updated and enlarged and the systems modernized. While the Betz Brewery was operating, so was the Lion Brewery, owned by Max E. Bernheimer and his brother Simon, along with partners August Schmid and Anton Schwartz. Like the Betz Brewery, the Lion was extremely successful. With the death of August Schmid in 1889, his share of the business went to his ambitious widow. Josephine Schmid had exceptional business sense and was cunning, shrewd and greedy. By 1901 the business relationship with her partners had become so argumentative and unworkable that she bought them out for $1.4 million, leaving the Bernheimer brothers and Schwartz without a brewery. Although the Betz buildings were apparently operational; the new Bernheimer & Schwartz Brewery would have all new ones. The management commissioned architect Louis Oberlein to design the complex, centering around a main five-story red brick building. The plant was demolished, and two years later in 1903 the new brewery was completed. It was Oberlein’s first commission on his own. He had previously worked with the firm of Lederly, Wessely & Co. For Bernheimer & Schwartz, he turned to what has been termed the “German-American” style; no doubt in hopes of reflecting the German tradition of both the owners and the industry. Oberlein managed to economically ornament the main building with patterned brickwork, creating cornices and lentils, for instance, for his utilitarian, industrial buildings. The ponderous mass of the main building is alleviated by stone courses, brick corbelling and peaked cornices below a brick, paneled parapet. 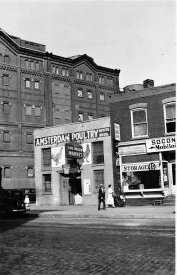 The site of the plant, chosen originally because it was far from residential areas where land was plentiful, was at 10th Avenue (now Amsterdam Avenue) between 126th and 128th Streets. Josephine Schmid may not have forbade her former partners from going into the brewery business; but anyone who had a superstitious bent might have suspected they she cursed the new enterprise. The Bernheimer & Schwartz Brewery was beset with problems and tragedy nearly from the start. On February 17, 1906 a crew was working to level the rocky, jagged hill at Convent Avenue just north of 127th Street where the Church of the Annunciation was to be built. Dynamite had been used for days to reduce the rock. Around 2:25 in the afternoon things went wrong. “In five minutes thousands of dollars’ worth of beer in the brewery of Bernheimer & Schwartz” was destroyed, the article reported. Troubles turned to tragedy when on June 1, 1909 Gessina Meyer, wife of vice-president Charles Meyer, committed suicide by inhaling gas in a second floor room of their four-story brownstone house on West 137th Street. Mrs. Meyer had been despondent over her grandchild’s ongoing illness. A year later, in October, Anton Schwartz’s 24 year old son, Adolf who was in the business department of the brewery, died unexpectedly of an illness. Schwartz was in Europe at the time and was unable to return in time to see his son before he died. Six weeks later, on November 6, Anton Schwartz shot himself in the head at his third floor apartment in the Central Park View Apartment House. The management maintained good relations with local policemen and firemen by establishing a keg room to be used for the two groups – while on duty. When rumors of the illicit keg parties reached Battalion Chief Howe of the Fire Department, he paid a visit to the brewery on a warm night in July 1910. It was the end of the keg room parties. Misfortune struck the brewery again in 1911. Simon E. Bernheimer was not only a master brewer, he was a well-known drummer. At the time the Masonic Band was one of the most esteemed bands in the country and Bernheimer set his sights on playing with it. He joined the lodge and for years would attend band practice, sitting quietly to the side and waiting for his chance one day. While the band was playing “Evening Star” the big drum crashed to the floor, along with Simon Bernheimer. The excitement of finally playing with the well-regarded band was too much for his heart and he died on the spot. The interiors of the immense wooden vats at the brewery were coated with a wood-alcohol varnish. Men would crawl through narrow “manholes” in the vats and brush the varnish on. Unknown to them, the fumes and the confined space were a deadly combination. With the backing of the Committee, Gustav Kenz, who had been blinded, sued the brewery for $10,000 in damages in the Supreme Court of Brooklyn. The trial had to be postponed when, on September 24, 1913, Max E. Bernheimer “dropped dead in the courtroom,” as reported in Medical Progress magazine. Despite the tragic, untimely and sudden deaths of the three principals of the company, the Bernheimer & Schwartz Brewery continued. By 1920 the forward-thinking company had replaced all of its horse-drawn delivery vehicles with motor trucks. That same year they regretted it. Bernheimer & Schwartz rushed to Fiss Doer, Carrol Company and purchased 35 horses at an average price of $422.50. But the brewery already had something more worrying than snow and horses to consider: Prohibition. The 18th Amendment to the Constitution had been ratified on January 16, 1919 and went into effect a month before the snowstorm of 1920. The brewery now had to contend with a law that prohibited it from operating its business; and to figure out what to do with the ocean of lager and ale already in its immense vats. The Federal officials had the answer to the latter problem. On July 12, 1923 they entered the brewery and began dumping the beer. “A flood of prewar beer was let loose into the Harlem sewers yesterday when Federal prohibition officers began the destruction of 836,000 gallons of non-de-alcoholized lager and 4,000 barrels of twelve-year-old ale at the plant of the Bernheimer & Schwartz Pilsener Brewing Company,” reported The Times. It was the end of the line for the Bernheimer & Schwartz Brewery. The great brick brewing building was renovated as a refrigeration plant; then in the 1940s it was converted to cold storage for fur coats during the warm summer months. Generally overlooked as anything other than an industrial building, it was finally purchased and converted, again; this time to office space. 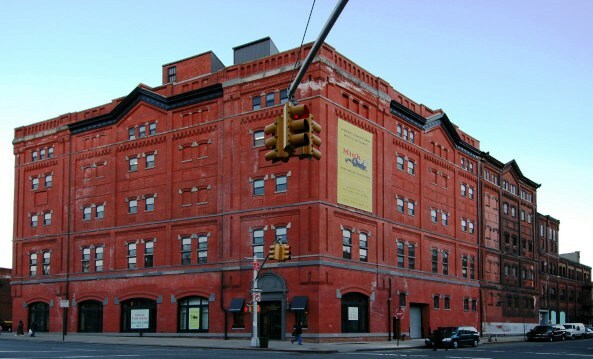 As a nod to its former use as fur storage, the new owners, Janus Property Company, renamed the brewery building “The Mink Building.” A battle between the owners and the preservationists broke out when the Landmarks Preservation Commission considered the building for landmark status. However, based on the alterations already done to the structure, the Landmarks Commission withdrew the building from its list of considerations. But landmarked or not, the Bernheimer & Schwartz Brewery building is a remarkable surviving example of handsome industrial design; this one by a nearly-unknown architect. In 1915 the wealthy widow Lizzie Nichols kept mainly to herself. She had grown to an ample 250 pounds and was still recovering from her husband’s sudden death a year earlier. On the evening of September 9 the house was unusually empty. It was the butler’s night off and the cook, Ileona Toivonen, had gone home around 8:30. Only a maid, Edith Langfeldt, and Onne Talls, the “second man” of the house, remained downstairs while the 60-year old Lizzie was in her sitting room on the third floor of her magnificent mansion at No. 4 East 79th Street. Around 9:30 the basement door bell rang. Onne Talls and the maid answered it to find three men, one of which held a wrapped package. When he announced that he was to deliver the package to Mrs. Nichols, Talls admitted him. The other men rushed in behind him, one brandishing a revolver. The servants were bound and gagged at gunpoint, then the three burglars rushed upstairs. While faint noises from upstairs filtered down to the servants, Edith worked frantically to free herself. She worked her hands free, then untied the handkerchief that bound her ankles and tore the gag from her mouth. Without pausing to untie Talls, she ran to the telephone and called Police Headquarters. Having alerted the police, she rushed up the stairs to help her mistress. There in the third floor corridor she found the body of the Elizabeth Griggs Nichols. A much slimmer Lizzie Griggs had married James E. Nichols in 1878. The self-made man grew up on a farm in Meredith, New Hampshire and came to New York City in 1868 as a representative for two woolen mills based in his home state. A decade later he and his associates took over the grocery wholesaling business of Fitts & Austin, establishing Austin, Nichols & Co., of which he was senior partner. As the turn of the century neared he was also heavily involved in real estate (“prominently identified with the development of the commercial life of the west side of Manhattan,” according to The New York Times), and banking. He was a Director and Vice President of the Irving National Bank; a Director of the Broadway Trust Company; the Fidelity Trust Company, the Childs Company; and the Merchants’ Refrigerating Company. The athletic Nichols was also an avid horseman, owning several thoroughbreds, and a big game hunter. He was intrigued by polar exploration and his firm provided the food supplies to the Greely, Peary, Fiala, and Roosevelt arctic expeditions. Meanwhile, railroad magnate Henry H. Cook anticipated the upward migration of millionaires north along Fifth Avenue across from Central Park. 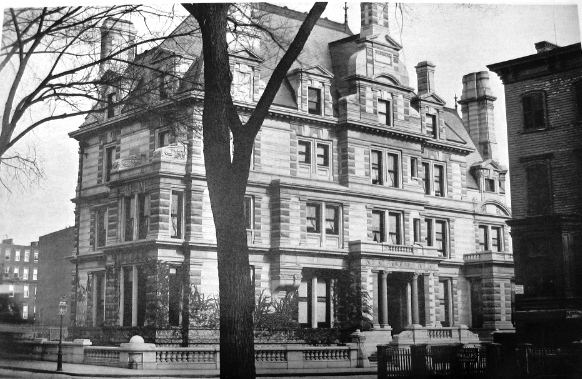 In 1883, while the cream of New York society was still constructing marble and limestone residences in the 50s, Cook completed his grand mansion at the corner of 78th Street. 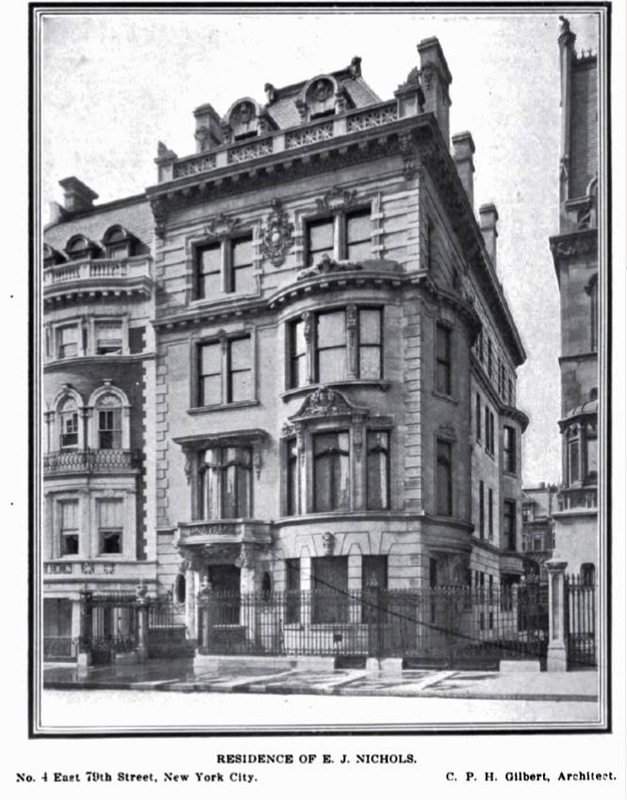 To ensure that his imposing granite home was not tainted by commerce, as was slowly happening in the blocks to the south, Cook bought the entire block from Fifth Avenue to Madison Avenue, 78th to 79th Street. He then methodically sold off the plots of what became known as “the Cook Block” with the codicil that only one-family homes could be built on the site. Nichols would build on the "Cook Block" which, by Cook's restrictions was lined with magnificent mansions. In June 1898 James E. Nichols added his name to those who would build “in splendid style.” He purchased the lot at No. 4 East 79th Street, directly behind the magnificent French Gothic chateau of Isaac D. Fletcher that was currently being constructed. The Nichols house, separated from the Fletcher mansion by a service alley, was completed in 1900. Five stories tall, it was entered at street level above an American basement—the latest in architectural vogue. The showy Beaux Arts elements--scrolled carvings, a bowed bay with French-styled windows and a flamboyant mansard--fought for attention with the scene-grabbing Fletcher residence. 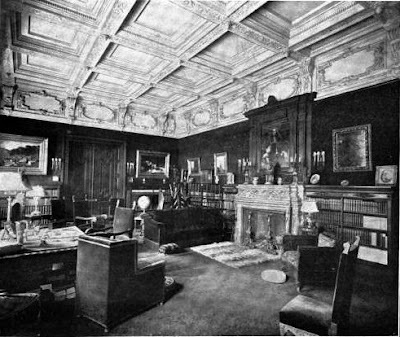 The Times deemed the home “magnificently furnished, being especially notable for the splendid collection of wild animal heads gathered by Mr. Nichols.” To protect Lizzle’s costly jewelry, safes were cleverly hidden within the walls throughout the upstairs private rooms. Unlike most of the houses that rose along the block, the Nichols mansion was seldom the scene of glittering entertainments or inclusions in the society pages. Perhaps because of Lizzie’s increasing girth, the couple lived comparatively quietly. In 1914 they sailed to Europe and while in Marienbad, Austria, Nichols was stricken with heart disease. As Lizzle sat by his bed, James E. Nichols died on July 22. Mourning and extremely wealthy, Lizzie returned to No. 4 East 79th Street surrounded by what she considered to be a faithful staff. Not long after her return, butler Arthur Waltonen left the position and was replaced. It would be the first domino to fall, ending with the tragic death of Lizzle Nichols. Lizzie’s former butler knew where the hidden safes were and he knew that she kept the keys to her jewelry boxes secured under her corset at the back. Waltonen and Onne Talls devised a complex plan to steal the estimated $37,500 worth of jewels. On the night of September 9, 1915, it was Arthur Waltonen whom Onne Talls admitted through the basement door, along with an accomplice referred to by the newspapers as “an unnamed Italian.” The binding and gagging of Talls along with the maid was a charade—one that unraveled relatively quickly. Although police arrived within five minutes of Edith’s phone call, the men had disappeared. When the servants were questioned, the cook remembered seeing three men loitering around the front of the house when she left. She recognized them “as friends of Talls.” It was the lead that eventually resulted in the arrest of the criminals. Because Talls did not take part in the murder he was given a life sentence. His accomplices went to the electric chair. On September 12 the funeral of Elizabeth Nichols, who left a $2 million estate, was held not in a socially-fashionable church, but “from an undertaker’s chapel at 406 Fifth Avenue,” as reported in The Times. The body of the widow was place next to her husband in the family vault in Woodlawn Cemetery. Five months prior to Waltonen’s arrest in September 1916 in Chicago, Miss Catharine A. Fitzpatrick bought the Nichols residence for $350,000. “It is in the famous Cook block,” reported The Times, “which is one of the best developed private home blocks in the city…It will be remodeled for Fall occupancy.” Catharine commissioned architect Herbert Lucas to make the changes in the home. She never moved in, apparently. A month later banker Joseph Wright Harriman owned the house and it was Harriman who paid Lucas the $3,000 to construct a new conservatory on the roof. The Harrimans divided their time between East 79th Street and their country estate, Avondale Farms, in Brookville, Long Island. Harriman was the President of the Harriman National Bank and on May 21, 1922 the engagement of his only daughter, Miriam, to Albert Lincoln Hoffman was announced. Hoffman was the son of the socially-prominent Mr. and Mrs. Francis Burrall Hoffman and had married Leta Sullivan in 1918. Leta tragically died the following year after the birth of a son. Miriam finally married four years later in St. Bartholomew’s Church. She wore her mother’s wedding gown as Joseph Harriman escorted her down the aisle. The reception was held in the 79th Street house. Mariam and her new husband, Boykin Cabell Wright, moved to 1088 Park Avenue after going abroad on their wedding trip. The Harrisons were followed at No. 4 in 1926 by Mrs. Clara Jay William Keech. The former wife of Colonel Frank B. Keech, she was president of the Virginia Day Nursery, an old and esteemed institution. Mrs. Keech provided scholarships to the National Academy of Design for talented boys from the East Side. When Clara Keech died at her winter home in Boca Grande, Florida, on February 9, 1937, the house was inherited by her broker son, Gilbert W. Keech, who died within the year. At around the same time Ogden Phipps married Mrs. Lillian Stokes Bostwick McKim. Both parties were divorced and the understated wedding took place in the bride’s apartment at 117 E. 72nd Street. Phipps was one of the nation’s most outstanding court tennis and racquets players and a grandson of Ogden Mills. Department of Buildings records are sketchy; but it was possibly the Phipps who were responsible for the toning down of C. P. H. Gilbert's turn of the century design. The bowed bay to the front was removed and most of the Beaux Arts pomposity removed to produce a more understated, modern dwelling. Lillian Phipps was deeply interested in the arts. On November 8 she held the first of a series of twelve illustrated lectures by Mrs. Helen Appleton Read on “the season’s major art events.” Reflecting society’s ongoing love of late hours, the lectures began at 11:00 pm. The Phipps remained in the house until 1946, when it was sold to become the French Mission to the United Nations. It was here on May 6, 1948 that the UN subcommittee met to discuss the five-point outlined submitted by France as the working bases for a study of the provisional regime for Palestine. The murderers of Lizzie Nichols in 1915 would have slipped into the service door to the basement at the side. Despite Henry Cook’s stipulation that only one-family residences could be built on his block, in 1992 No. 4 was converted to offices and, on the uppermost floors, two duplex apartments. The renovation was short-lived, however, and in 2005 it was reconverted to a single-family residence; no doubt much to the approval of the late Mr. Cook.